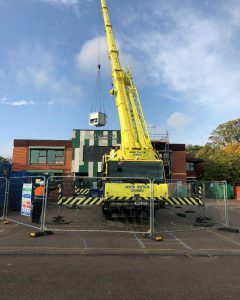 Today something very interesting happened in school, as we came in to find another giant crane on the playground! 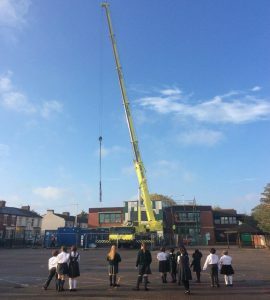 Everybody was really excited to find out what it was doing, and our news team were very lucky as they had the chance to go and see it an action! 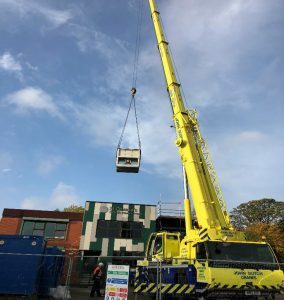 The builders told us that the crane was putting a new ventilation system into our school, which would be connected to all of the new rooms. 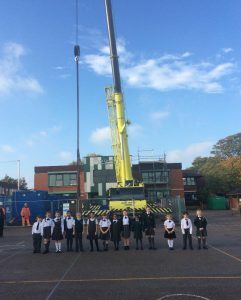 We all watched in amazement as the crane lifted the ventilation system into place, before the builders even let us take some pictures together in front of it when the job was finished!